This is a quirky spot nestled in the mid-point of a strip mall. Had it not been for my foodie friends I would never know this spot existed or if I did would most likely pass it over. My good fortune I now count this as one of my go to spots. Sid and Linda are quite a unique couple, and have proven themselves as advocates of good simple food, made correctly with the freshest ingredients as well as care and love. 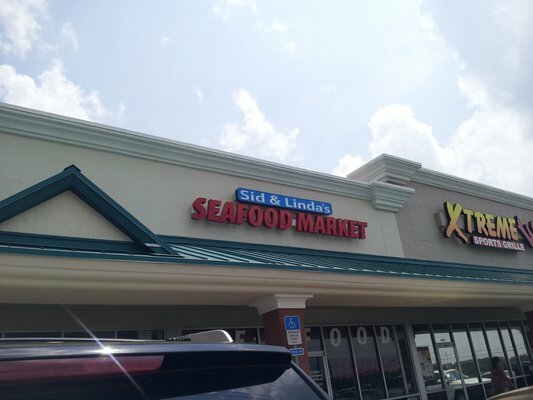 I have only been here about four times, but I am greeted warmly, they call me by name, if he is not too busy Sid will come out and tell you about the fish or any specials they may have that day. They ran the kitchen at a well know and popular spot in Mayport for many years before deciding to make it a go for themselves. The result, as spot where most nights it is almost impossible to get a table with out reservations. Since we are usually 8 to 10 we always call ahead to get our favorite spot in the newly expanded dining room. I always recommend reservations for this spot. Sunday lunch is especially busy. We started with the Savannah Crab Bisque, and the fresh shucked oysters. 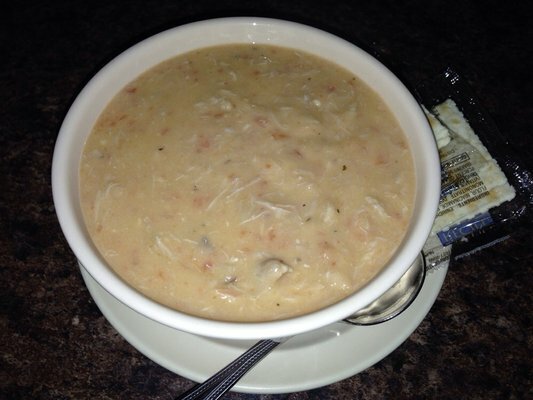 The bisque is a meal in itself with large pieces of crab and potato in a perfectly flavored roux. This is for sure a crown pleaser even in the warm weather. The oysters are fresh, briny and ice-cold. Who ever opens up these babies knows how to do it correctly, no shell pieces or dirt anywhere. Both dishes come with a basket of crackers and some horseradish and lemon for the oysters. If you ask they will also make the vinegar based Mignonette dip. 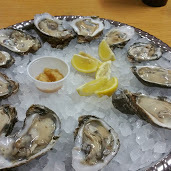 These oyster are so good you want to drink them from the shell. We moved on to some of our favorite dishes, from the menu. 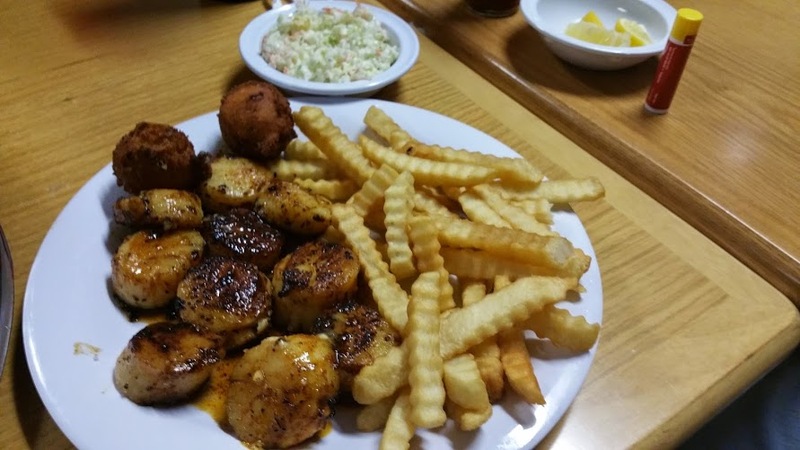 The customer has the option of several preparation styles: fried, blackened, or broiled. There is always fresh fish available to be cooked as requested. Take a walk around to the fish counter, find one that pleases you and tell the chef how you would like it cooked. The sides include, spinach cake, onion rings, a very flavorful cole slaw and sweet potato fries. 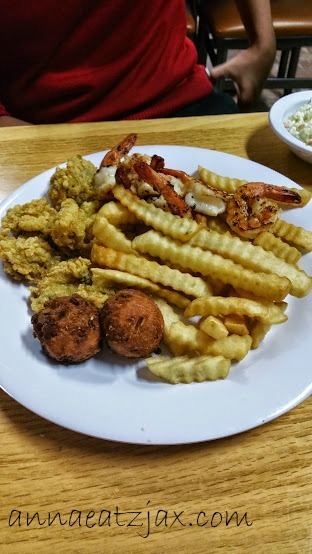 Hush puppies never a favorite of mine are a must try item. Beverages available, beer, wine the regular line up of carbonated drinks and both sweet and unsweet tea. You can also request any combo basket for a small additional fee. I will go out on a limb here and say once you experience Sid and Linda’s it will become a favorite place to bring friends and family. Make sure to check out the fish case when your there. There are sides and desserts that are also available for take home.